Irma Nino and Mourette Hodge enjoy a cup of coffee after their mammograms in Ella Health’s San Antonio, TX, center. In their three decades of friendship, Irma Nino and Mourette Hodge have been co-workers, shopping partners and workout buddies. Now they’re mammo-pals too. Mourette wanted to get back on the healthy track starting with getting a mammogram, which she’d put off for several years. Irma says she was “forced” to come in too. They were both happy with what they found including a warm welcome, beautiful decor and comfy robes. “The ‘Ella way’ should be everbody’s way,” Mourette says. 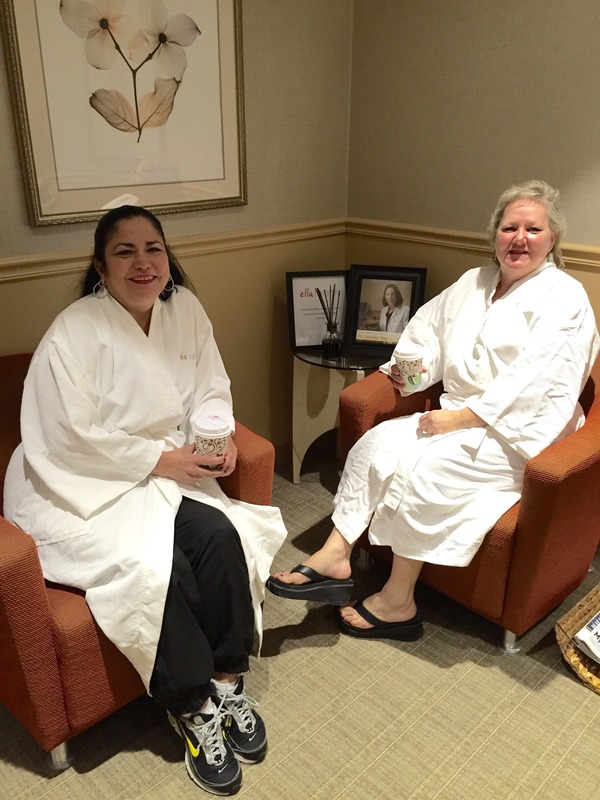 After their mammograms, the two friends took advantage of the Ella lounge and stayed to relax with a cup of coffee. At Ella, we encourage women to come in together. It’s a great way to support each other in taking care of ourselves.